Bladder Cancer requires authors to declare all conflicts of interest, financial or otherwise, independent of relevance to the particular manuscript. All authors must submit a conflicts of interest statement. If there is no conflict of interest to declare, include this section with the statement “The authors have no conflict of interest to report”. Conflicts of interest are herein defined as factors or relationships that could be seen to compromise (or impact) the impartiality of the authors of an article. 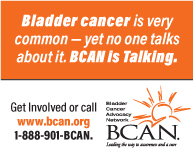 Bladder Cancer requests that referees with conflicts of interest, financial or otherwise, declare them when submitting their report and recuse themselves when there is a conflict that may impact a fair and impartial review. These can include any financial relationship between the authors and any organization that may have a financial interest in their research or financial interests on the part of the authors themselves. This can include, but is not limited to, employment, stocks or shares, patents, research funding, travel or other expenses, lecture fees, or goods or services. Authors should disclose any such relationships: past 2 years, present or anticipated along with any role these organizations may have had in the design, execution or presentation of the study. These can also include financial interests on the part of the authors themselves, such as stocks or shares, patents, or other forms of financial gain. These can include any relationship between the authors and any person or organization that could reasonably be seen to compromise (or impact) the impartiality of the authors of an article. This can include, but is not limited to benefits to relatives, close friends or associates, or organizations that the author has an unpaid relationship with (such as consulting or advisory roles, or providing administrative assistance).